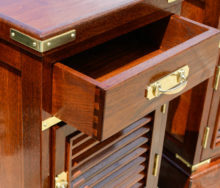 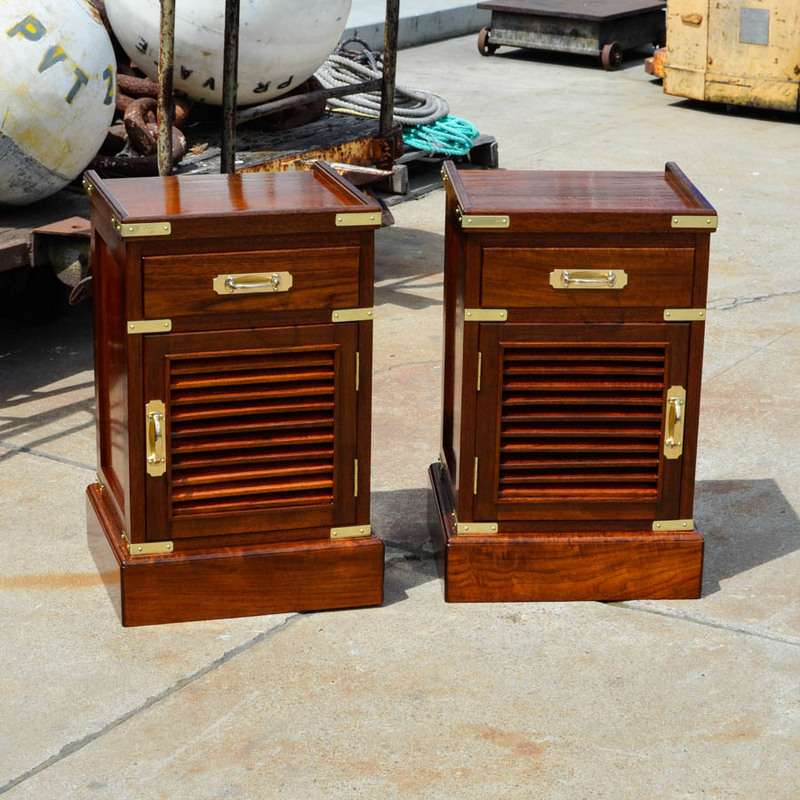 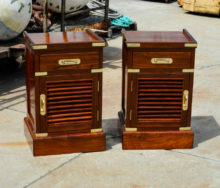 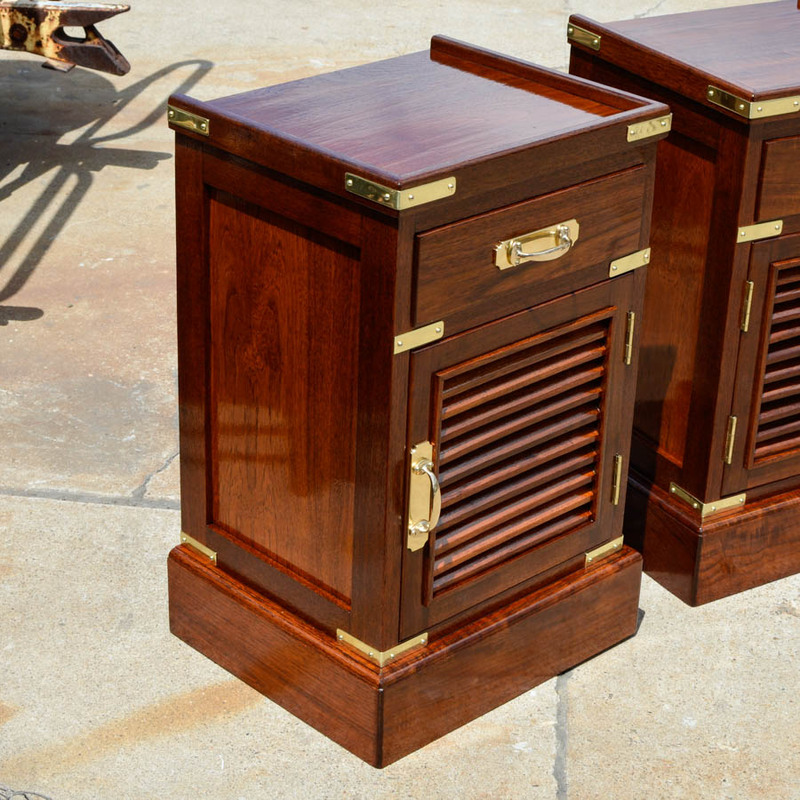 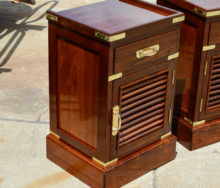 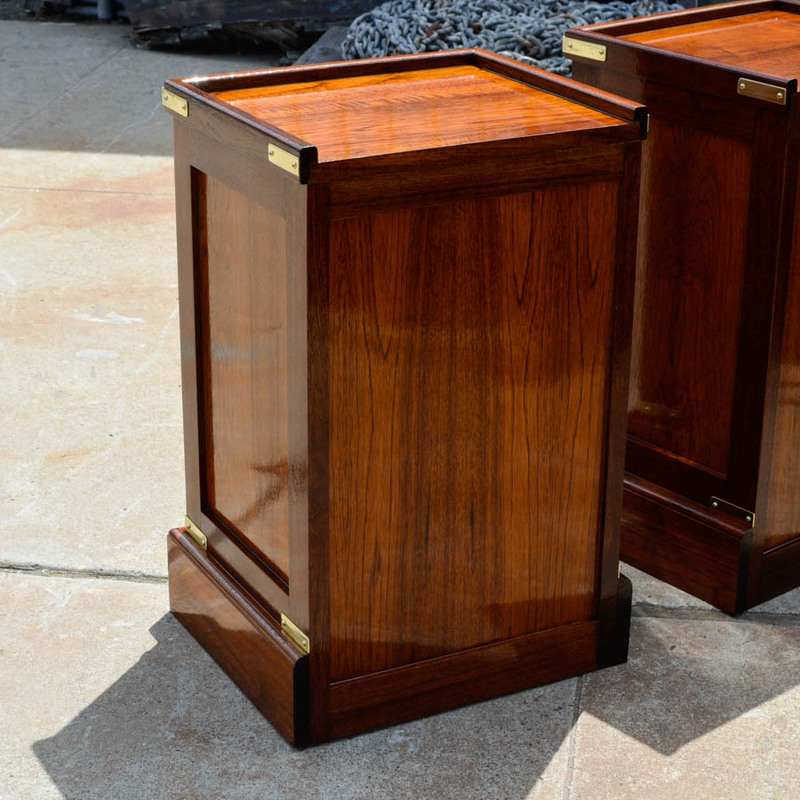 A beautiful set of stateroom berthside stands handcrafted by the Maidhof Bros. crew. 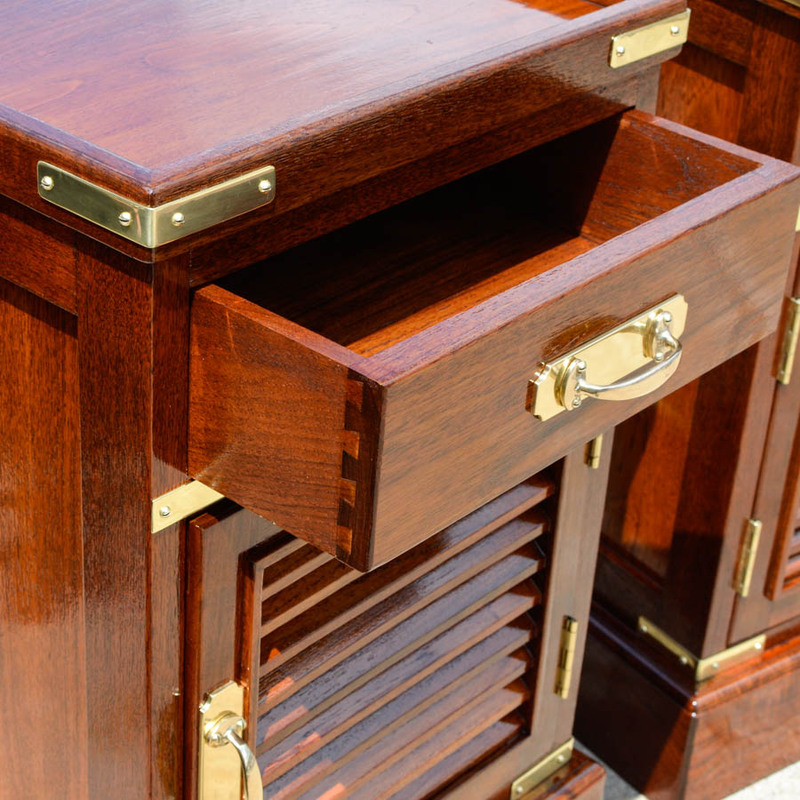 Made of rich mahogany and laced with solid brass hardware. 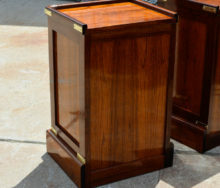 They measure 27″ tall 17.5″ wide and about 15″ deep if you include the base.